Video FAQ: What should a person do if they’ve been involved in a construction accident? Hach & Rose, LLP attorney Halina Radchenko discusses the immediate steps to take if a person’s been involved in a construction accident, including how to document injuries and details of the accident. Contact our team of experienced personal injury lawyers at (212) 779-0057 if you have been hurt in New York and need legal counsel. New Video FAQ: Why is it important to have a courtroom tested trial lawyer handling a construction injury case? Why it is important to have a courtroom-tested lawyer handle a construction injury case? Does experience make a difference? Hach & Rose, LLP attorney David Cheverie answers this question in a new video FAQ. Watch above and call us at (212) 779-0057 to schedule a consultation with an experienced member of our team today. New Video FAQ: What is the statute of limitations for a medical malpractice suit? Were you or a loved one harmed by the negligence of a doctor? Did a healthcare providers’ actions or inaction cause you harm? If so, you are likely wondering how long you might have to file a claim, and when the state’s statute of limitations might run out. Hach & Rose, LLP attorney Anthony Hirschberger answers this question in a new video FAQ here. New Video FAQ: Why should I choose Hach & Rose, LLP if I’m hurt in a construction accident? Learn more about construction accidents and why you should select Hach & Rose, LLP to represent you by watching the video here. Attorney Halina Radchenko discusses the firm’s experience and their commitment to their clients. Learn more now, and call us at (212) 779-0057 for help. New Video FAQ: Is an attorney’s understanding of medical conditions critical in handling of personal injury claims? Have you ever wondered if your attorney’s knowledge of medical conditions could be a factor in your injury case? Hach & Rose, LLP attorney Michael Rose answers this question in a new video FAQ. Watch the video above and contact us at (212) 779-0057 if you have questions about a specific case. Our team is ready to help you and will provide a free, no-obligation consultation to discuss your claim. New Video FAQ: Why is it important to hire a courtroom-tested lawyer? 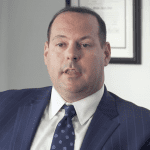 Hach & Rose, LLP attorney Mark Sokoloff discusses the importance of hiring a courtroom-tested lawyer in a new video FAQ. Want to know the answer? Watch the video above, and contact us at (212) 779-0057 if you’ve been hurt in New York or the surrounding areas. New Video FAQ: Why is it important to talk to a lawyer immediately after an accident? In this new video FAQ, Hach & Rose, LLP attorney Halina Radchenko explains why it is so important to contact an attorney immediately after an injury accident. To find out the answer, watch the video above. For help with an accident, contact us at (212) 779-0057 today.